Hey you, how was your Friday night? Thought I heard you yell TGIF TGIF once every hour at the office. No wait, that was me. Haha! Fridays are simply the best-always do my little count downs to 6 pm because that's when they let the labor out where I work. And the best thing is when your boss invited the whole department for dinner. Free meal, woot. I like! I still remember when we was invited to a Brazilian restaurant for dinner, it was two years ago. 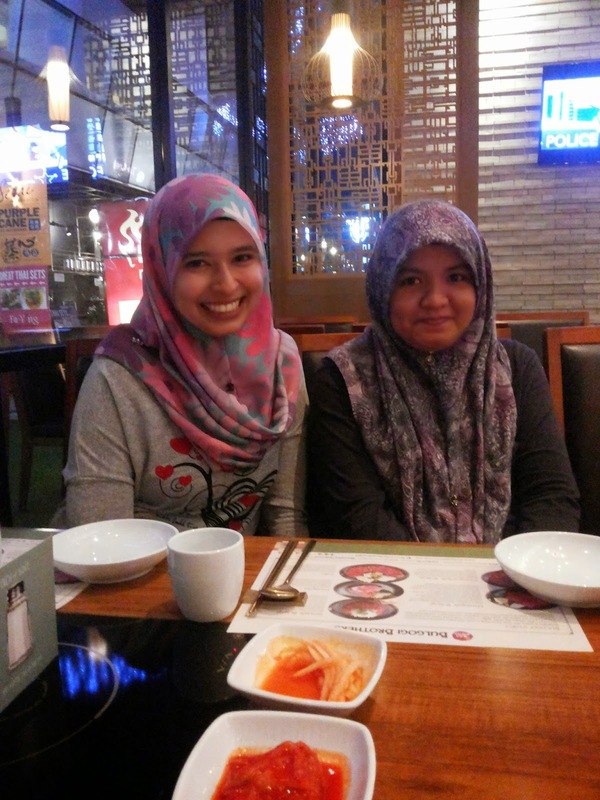 This time around we were invited to a Korean food restaurant, Bulgogi Brothers which is located at Paradigm Mall in Kelana Jaya. You can review their awesome restaurant here. Tucked in sidewalk of Paradigm Mall, this restaurant caters to a small crowd, oozes cosiness and was certainly inviting. The local and foreign waiters were really friendly and helpful, and most definitely the providers of entertainment of some sort for the night as we tried to learn the Korean language and were briefed about the food names before dinner. We had the combination of kimchi, banchan, lotus roots and seafood pancake for appetizer. It is called 'Haemul Pajeon'. Then came the main courses; chicken and beef Bibimbap which was absolutely delicious I swear. These were down within minutes. 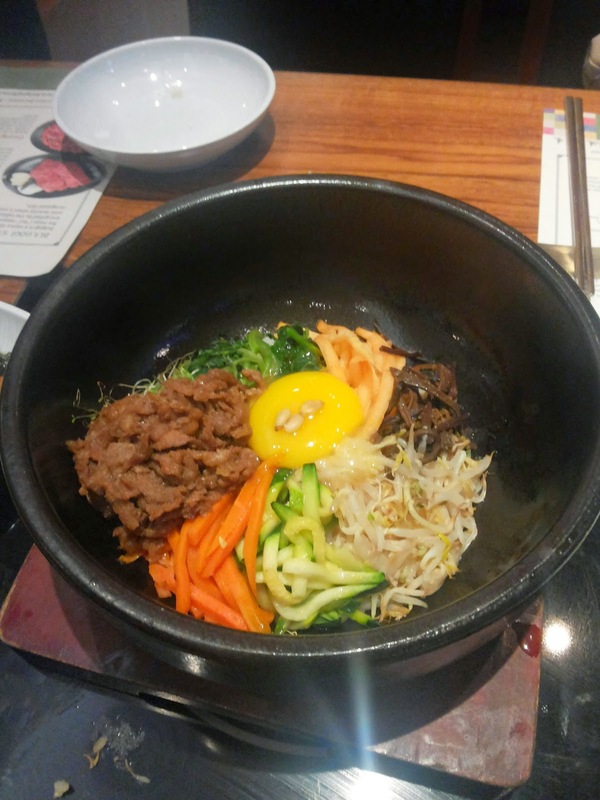 Bibimbap is a traditional Korean favorite which consist of rice, beef and vegetables. You can see all the ingredient before being mixed. 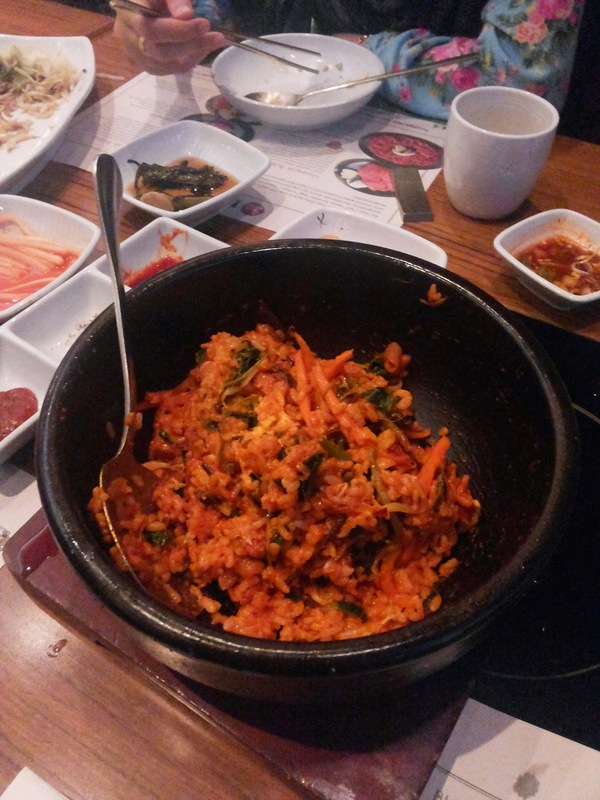 Bibimbap after being mixed all together. Roasted Chicken with Sweet Mango. Our last item in the tasting menu was the beef platter or 'Kkotdeungsim Modum'. Its a combination of ribeye, boneless beef short ribs and beef brisket. One of the waiter preparing the beef platter. The beef were pretty juicy and not lacking in flavor, portion wise this dish isn't too bad either.